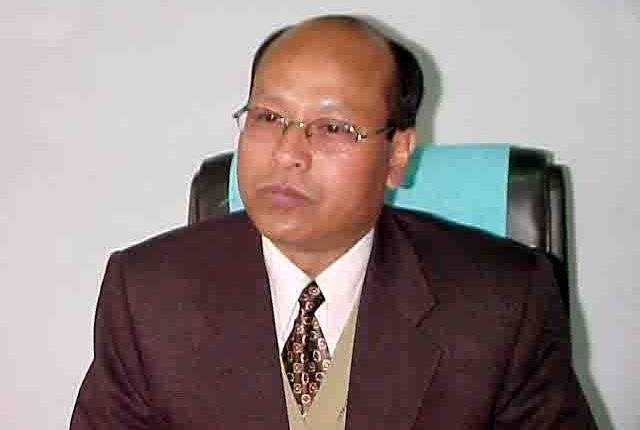 File image of Meghalaya Deputy CM Prestone Tynsong. Meghalaya deputy chief minister and National People’s Party (NPP) leader Prestone Tynsong on Tuesday urged various pressure groups not to be in hurry to implement Inner Line Permit (ILP) in the State. Tynsong also rubbished allegations that the state government is indulging in delaying tactics in getting assent of the Governor to various bills passed by district councils, according to reports. The Khasi Hills Autonomous District Council CEM, H S Shylla alleged that the NPP-led MDA government was holding in the Secretariat a number of important bills passed by the Council including the Clan Administration Bill, Khasi lineage Amendment Bill and the KHDA (Inner Line as adopted from the Eastern Frontier Regulation, 1873) Regulation Bill, 2018. On the elections to the two Autonomous District Councils to be held on February 27, Tynsong said that the NPP will secure majority and form the new Executive Committee in both KHADC and JHADC.